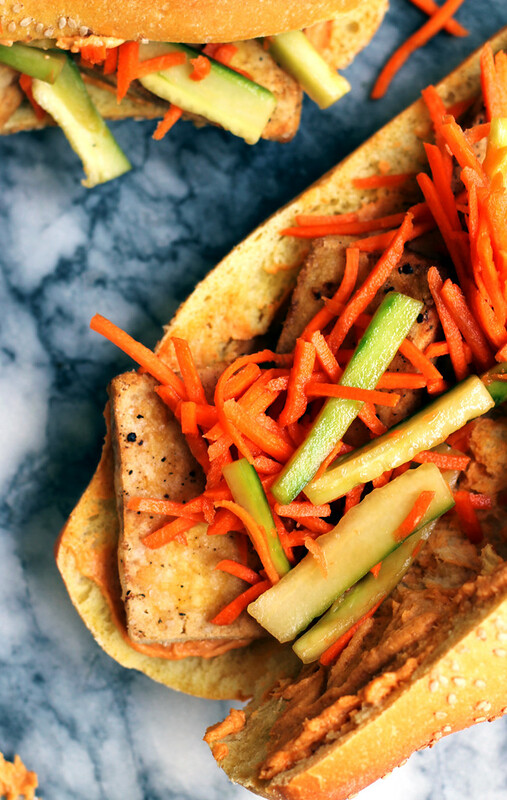 These vegetarian tofu banh mi are Vietnamese-inspired sandwiches stuffed with crispy fried tofu, pickled veggies, and spicy peanut sauce. Not that there’s anything wrong with cheese. I’d just like to make that clear. But for once I’d like to go to a deli and be presented with a vegetarian option other than “tomato, basil, mozzarella”. “With lettuce if you insist“. And maybe hummus. If we’re really getting crazy. There’s a slight possibility that I expect too much. I’m really going to be spoiled. And so are you too, because you are under strict orders to get banh mi-ing in your own kitchen. 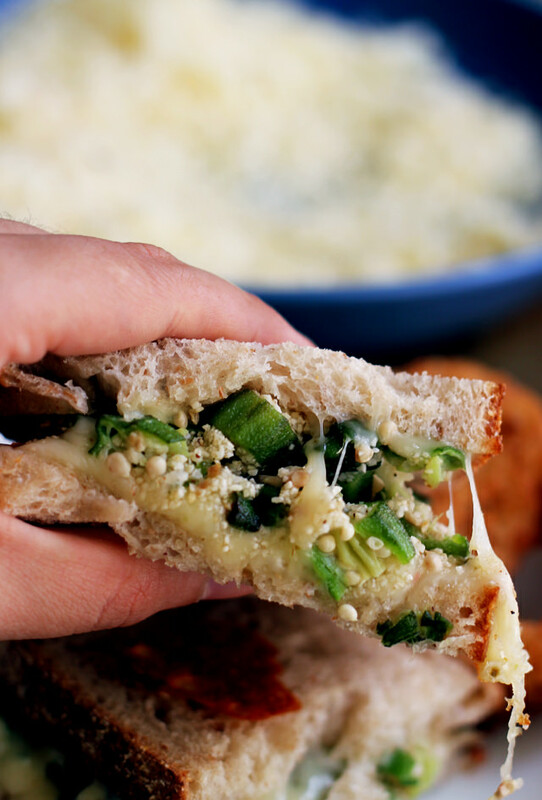 Life is too short to waste it eating boring sandwiches. And this is anything but. 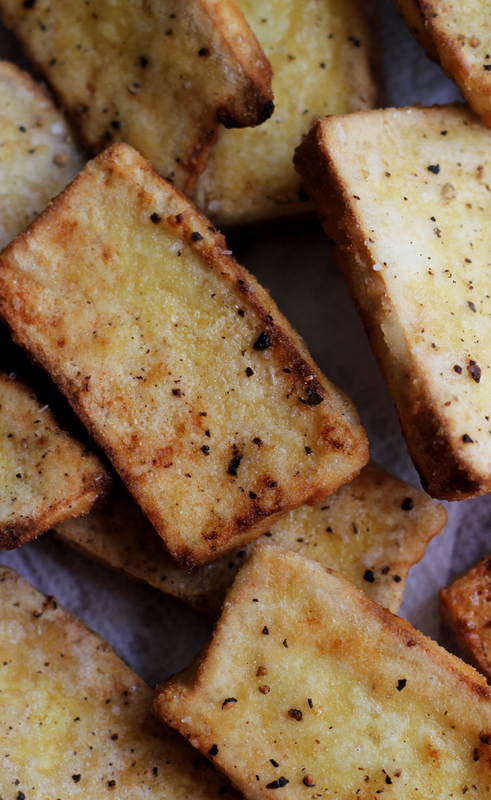 Place tofu on a paper towel-lined baking sheet in a single layer. Let drain for 20 minutes. Press dry with paper towels and season with salt and black pepper. 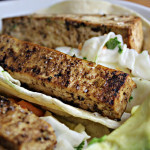 Dredge tofu in the cornstarch and transfer to a plate. 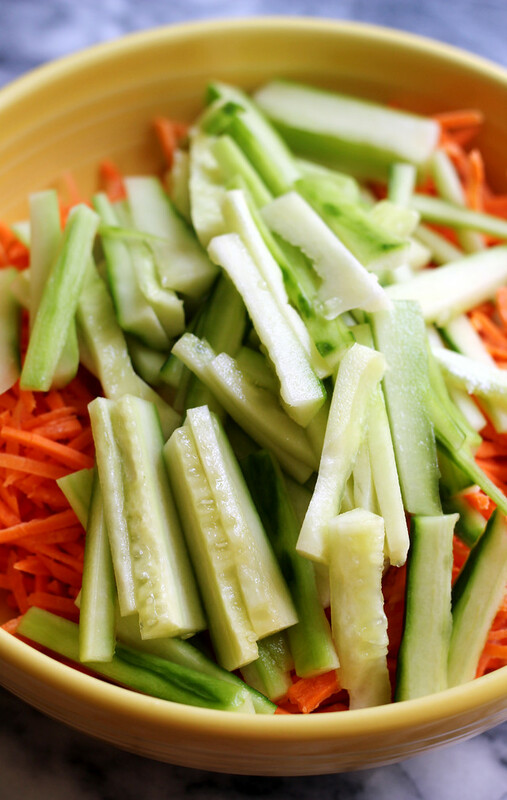 In a large bowl, toss together the carrots, cucumber, lime juice, and soy sauce. Let rest for 15 minutes. 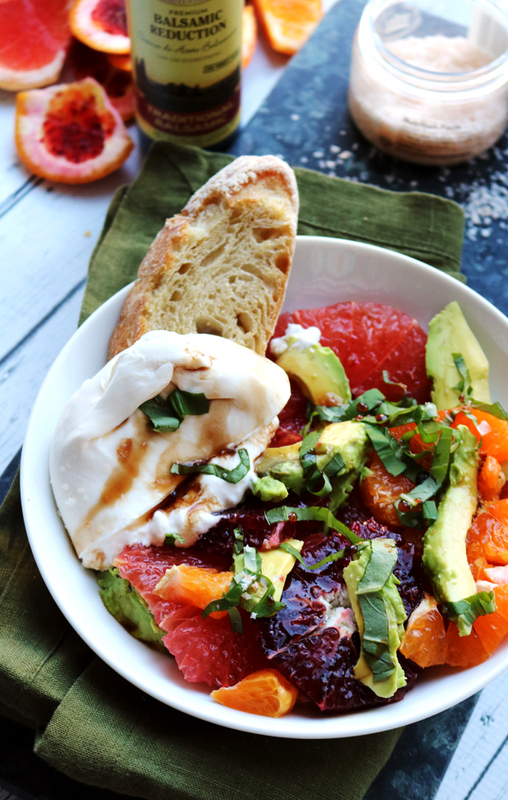 In a small bowl whisk together Greek yogurt, peanut butter, sriracha and lime zest. Heat the oil in a large nonstick skillet over medium-high heat. Add the tofu and cook until both sides are browned and crisp, about 4 minutes per side. Transfer to a paper towel-lined plate to drain. 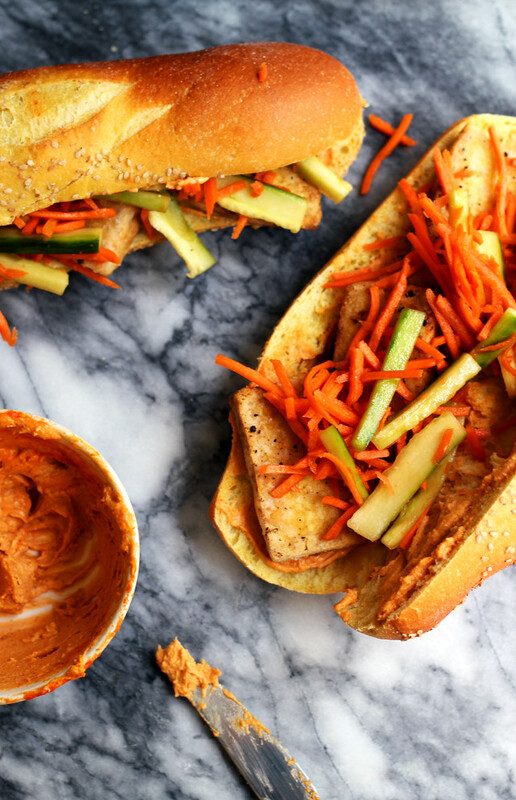 Spread the spicy peanut butter sauce over both cut sides of each roll. 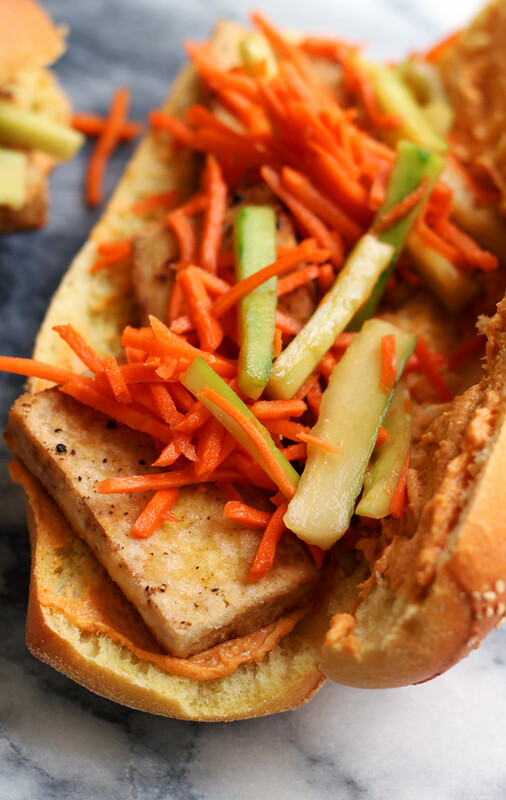 Layer the tofu and the pickled veggies on the rolls. Gently press sandwiches together to set. Serve. 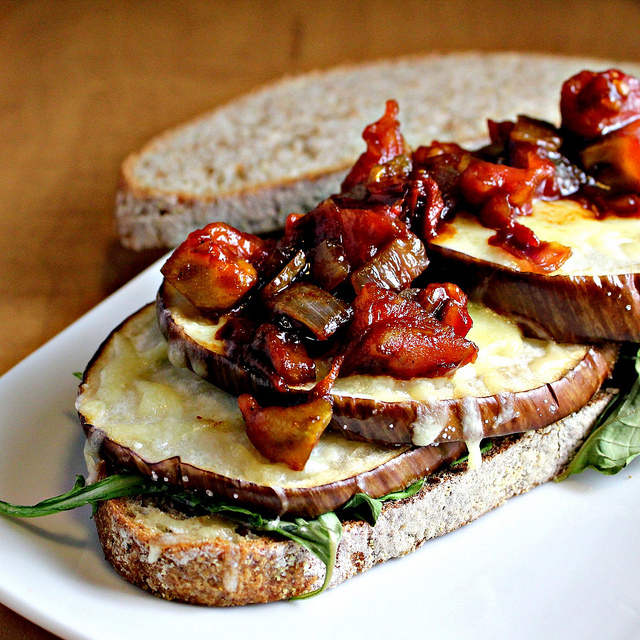 A fantastic vegetarian sandwich! The sauce sounds really great. 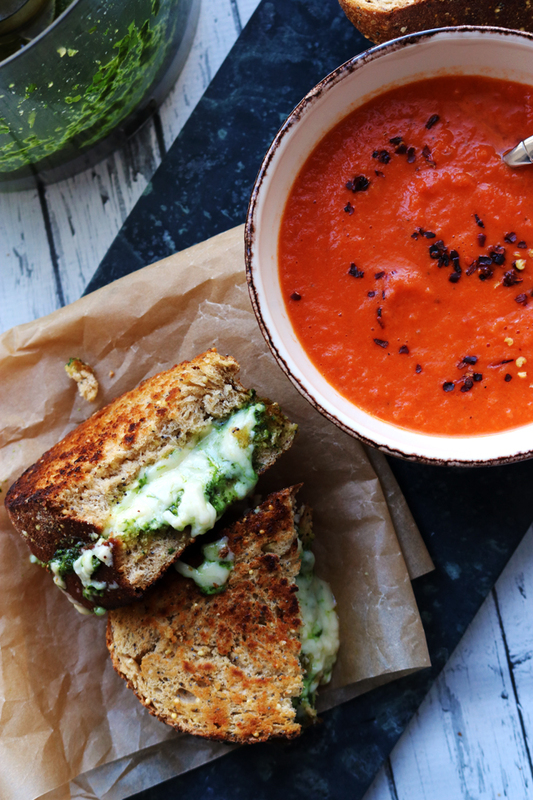 You have no idea how much I want this for lunch today! Serious yum. This is what I need, comfort food. We’ve had a rough week losing our old dog & I needed to visit my happy places. I’m glad you are posting. Watching your photos on Instagram and enjoying very much! 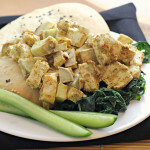 I’ve used Greek yogurt with meats before – but not with tofu – this sounds so delicious! 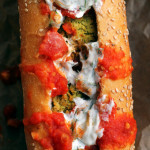 I love a banh mi sandwich – yours looks wonderful! Yes to that peanut sauce. I would want to dip everything in it. But this sounds like a good place to start. CAN YOU BELIEVE I’ve never had a Banh Mi anything? In fact, I’m not even sure how to pronounce it. Insert embarrassed face emoji here. From the looks of it, this thang is right up my alley. Pickled? Nutty? SOLD! 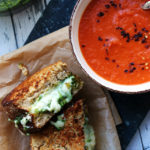 Life IS too short for boring sandwiches (though I admittedly do love a good cheese sandwich). 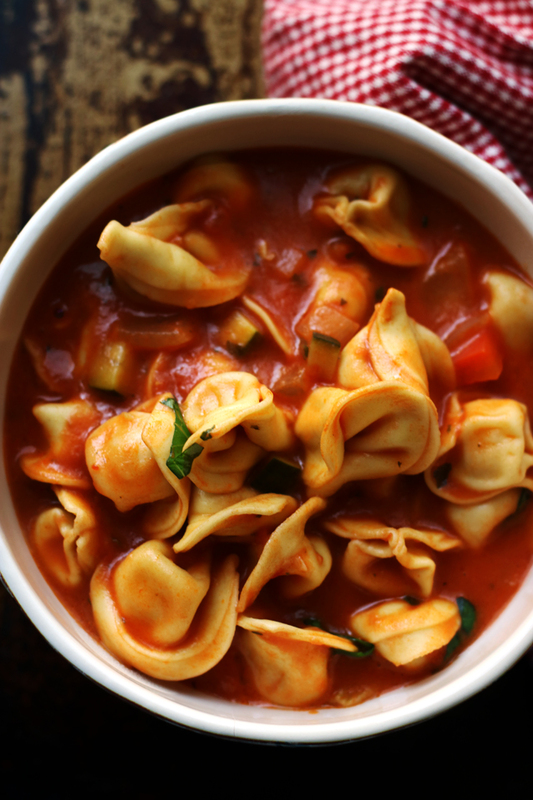 This one looks so fresh and flavorful! Yum.. it’s been so long since i’ve had a sandwich… i recently went to 2 Tablespoons and had a quinoa, tofu peanut combo… sensational!!!! 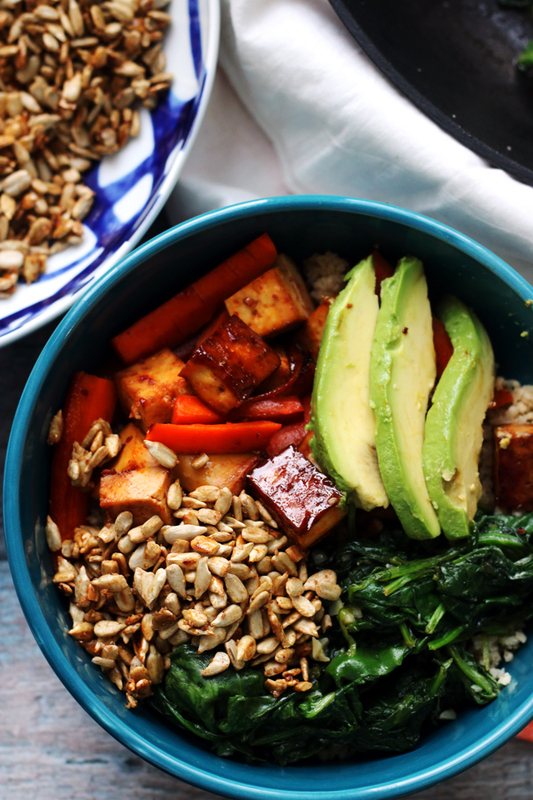 Love love that the peanut sauce is spicy, AND that this is meatless! So happening in my kitchen soon. Girl you are killing with those tempting pictures. 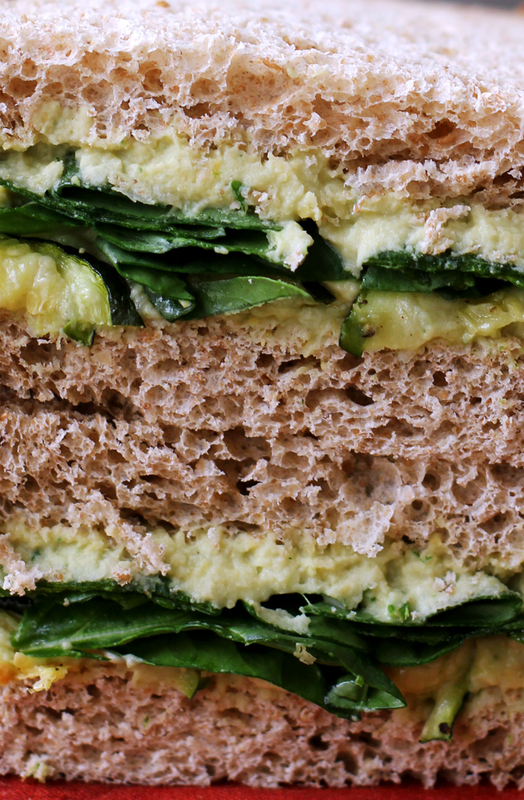 The best vegetarian sandwich ever. I’m in love with the spicy sauce. Will be making this soon. 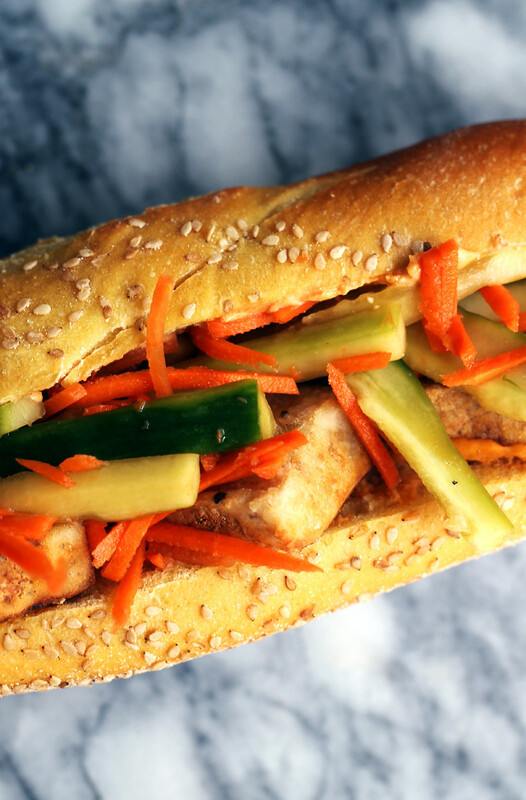 Making a bahn mi is seriously on my bucket list. You go girl. Boring sandwiches are why I rarely eat sandwiches. This might change that!! This is what we ate the night I went into labor! But with daikon instead of cucumber. Mmmm you had me at bahn mi. Love it! I don’t usually eat tofu, but I think I’m sold on this dish.